substrate for sign makers and digital/screen printers. It is created when polypropylene is extruded through a ‘corrugated’ die, resulting in a lightweight but semi-rigid material that can be printed on with a screen printer or UV flatbed digital printer, producing high quality images. 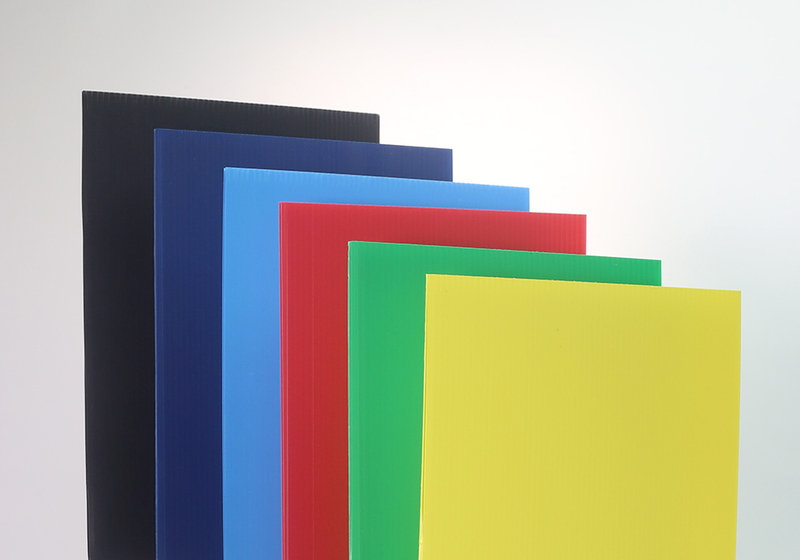 Fluted polypropylene sheet has long been the product of choice for estate agent signs but can also be used for a myriad of short term signage applications such as: stadia advertising, pitch boards, lamp post, sleeves etc.